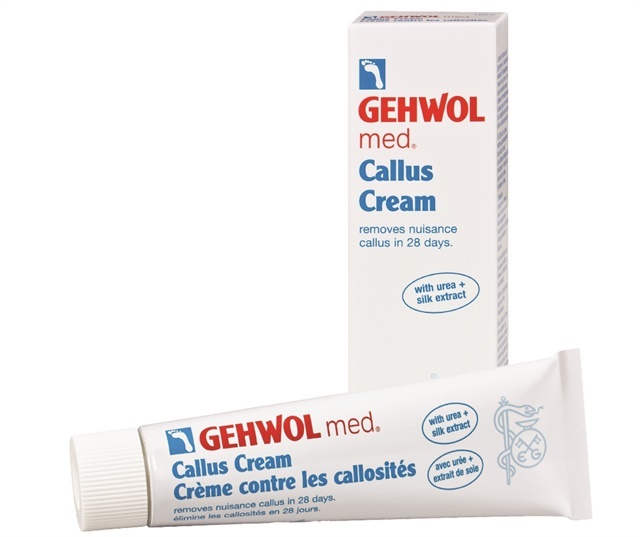 Remove annoying calluses within 28 days with Gehwol Callus Cream. Urea fortified with glycerin and allatonin loosens the cell bond of hard, callused skin. Skin-friendly lipids bring moisture back and silk extract smoothes the skin. For more information, visit Gehwol.